Classic with a Twist was my style of choice this month. 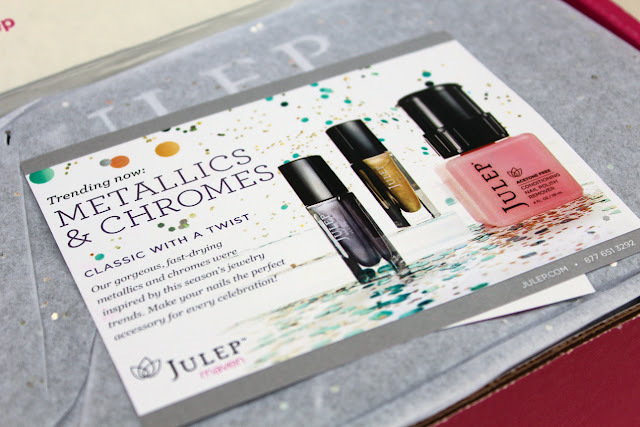 Actually, I completely forgot about my Julep box & missed out on choosing a style. I like the colours I received though. 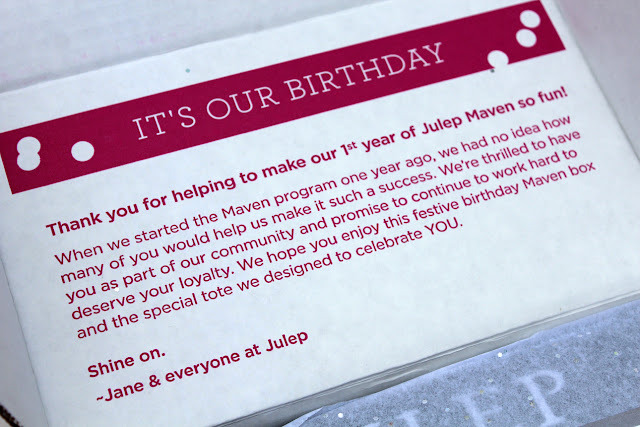 August is Julep's birthday month, so the box looked a little different than usual. The box that came was not the usual black colour but a bright pink and it was much bigger than normal. 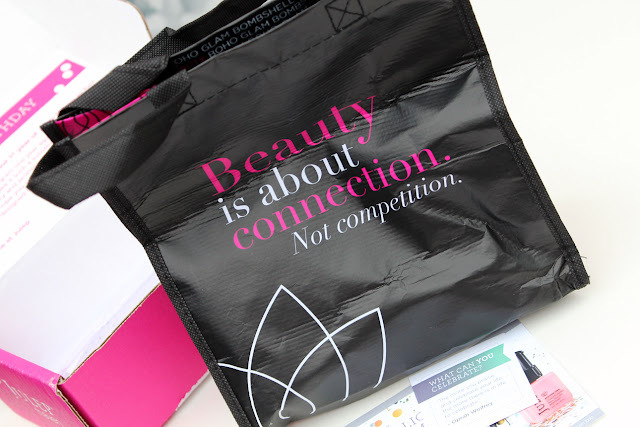 It also contained a cute tote (similar in size to the small ones you get from Lululemon). The two shades I received are: Alfre (a pretty mettalic purple) and Felicity (a yellow gold chrome). I haven't tried them yet so I can't comment on the application, but you can expect to see them in a NOTD post soon. The bonus product in this month's box was a mini bottle of acetone free nail polish remover. I love the size of the bottle, it would be great for traveling. I just used it last night and it does feel nice on the nails. It doesn't dry out your nails, which is great. 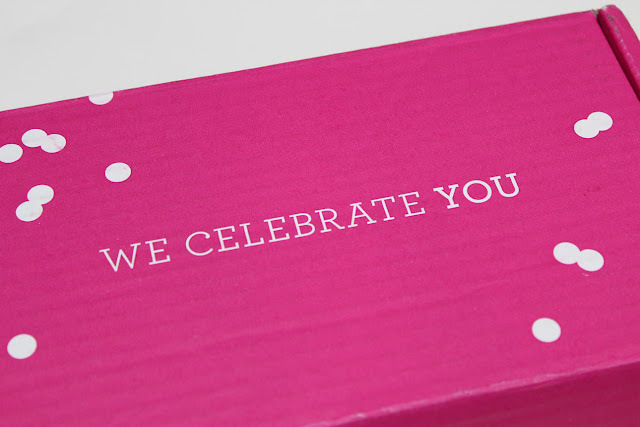 Looks like another great box ;) Love how they actually make you feel appreciated as part of their company! I really liked that special touch :). In regards to your Aug. 1st post, how long does it normally take Sephora to ship your online orders? Their Canadian order process is a little annoying. My order usually "ships" the day I place it (or the next business day)... But they ship it to a third party to be inspected by Customs before it is actually shipped to you. All and all, I've had the delivery time range from a week and a half to almost three weeks. I guess it just depends. I'm thinking of purchasing a 1oz bottle of Flowerbomb from Sephora and was wondering how long it will last before it expires?